Enhance your focus and concentration. Is there a better alternative to focus booster? 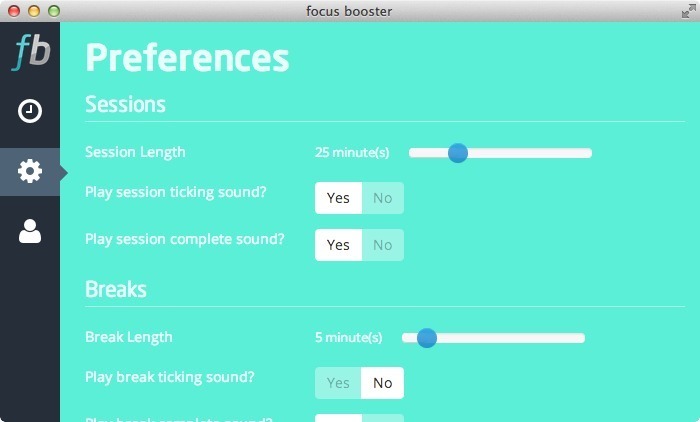 Is focus booster really the best app in Desktop category? Will focus booster work good on macOS 10.13.4? 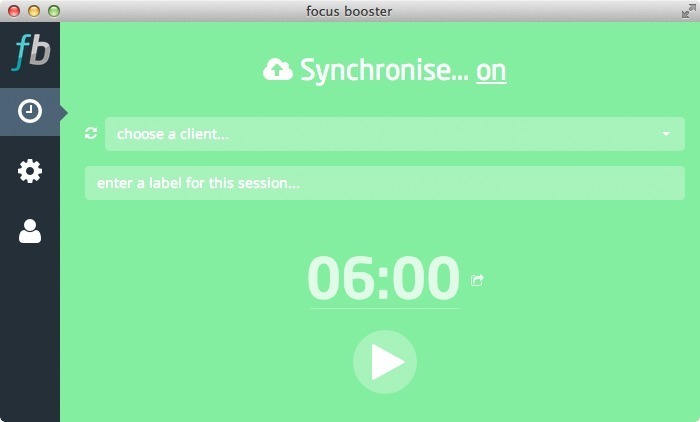 focus booster is a free application to help you get what you need done. Pronto! It's a simple and elegant application designed to help you eliminate the anxiety of time and enhance your focus and concentration. focus booster needs a rating. Be the first to rate this app and get the discussion started! The free version has no export capability, and its data retention is limited. Pricing information can be found here. Mandatory log in - Like many other time tracking apps it is now manadatory for you to log in. We are essentially a cloud service, with the bonus of a desktop app, so as we offer new plaforms and services, log in is going to be important! It also gives us the ability to connect focus booster to other tools and products in the future, for those much requested integrations! New free plan limits - Previously the focus booster free plan was limited to 3 days data retention, but now we will be limiting our new Starter plan (which is free) to 20 session per month. Which is great because now you will have access to all your historical data! Creating an account - Please note because everyone using v2.2.0 will now have to sign in to use focus booster, you will need to create an account if you don't already have one. Auto suggest labels - No need to look back through your timesheets to find out what you labelled the last session, these auto suggest labels are also filterable in the session report. 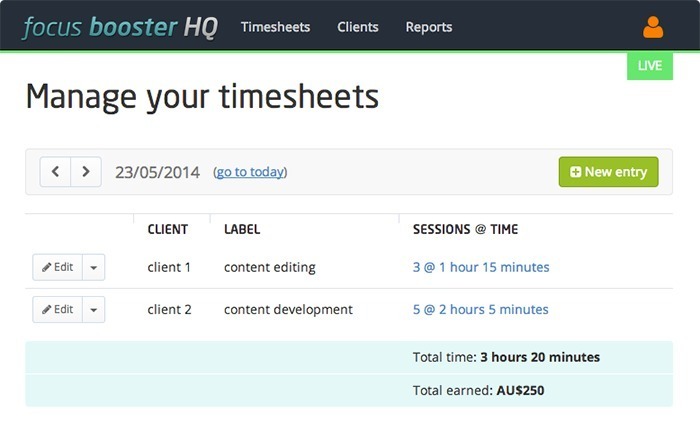 Create clients in the timer - New clients can now be created on the fly in the timer, no need to go to the client tab in the web app. 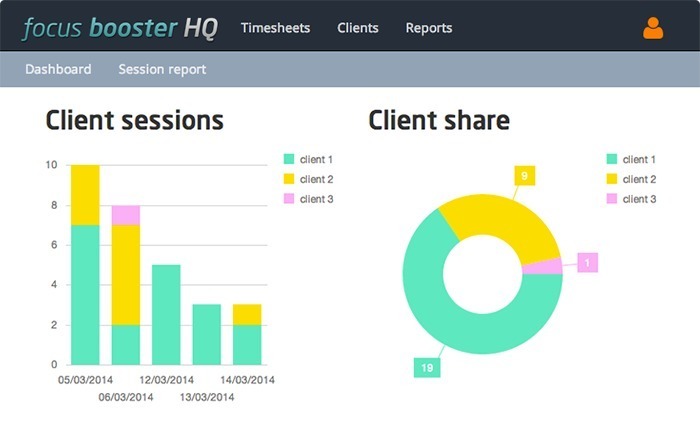 Turn clients and revenue off - A great new feature for those not using focus booster with an hourly rate. Clients and labels are no longer mandatory - You can save sessions without assigning a client and/or a label for more flexibility. New plans - We have introduced three plan levels. The Professional plan for those who do a lot of sessions or use clients and revenue. The Individual plan for those doing less than 200 sessions per month. The Starter plan for those learning the pomodoro technique, this is our free plan offering with 20 sessions per month. Extended free trial - All new sign-ups will be receiving a free 30 day Professional Plan trial of focus booster so they can get to know the product and decide what level they need. If you would like to sign up for your free trial again you can do so by emailing your username. We will in turn delete your old account so you can have your free trial again! 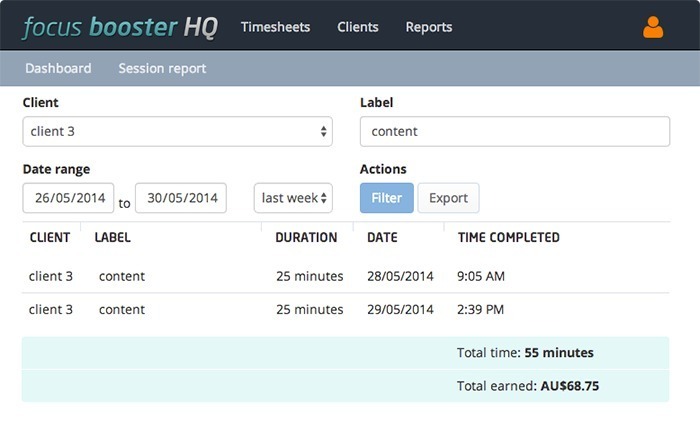 Session timeouts - We've greatly improved the workflow that follows when your session times out. We capture this, give you the ability to log in again and repeat your last request. General improvements - We have done quite a lot of general improvements and bug fixes from version 2.1 too.